Since our ancestors basically fought the Revolutionary War so we wouldn't have to eat gross British food, it’s our patriotic duty to continue grilling season as far beyond the 4th of July as humanly possible -- and here to help you do that is AgLocal. 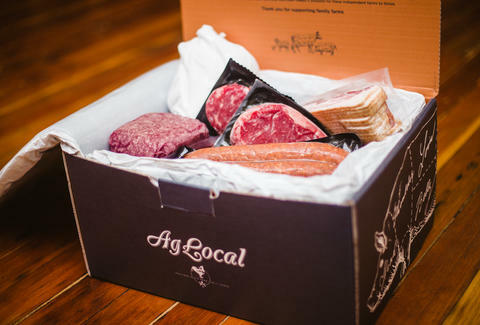 Basically a Netflix for meat (and similarly conducive to binges), this subscription service brings a monthly selection of local protein from family farms to your door, with recipes from chefs included because -- let's just be honest -- you need them. What's more, from now until July 13th, they're giving Thrillist readers an exclusive $20-off their first month's subscription by clicking this (sausage) link and entering in THRILLIST20 at checkout!